Ascott Limited (Ascott) is coming to Uptown Damansara with a management contract with See Hoy Chan Sdn Bhd to run a 200-unit Somerset Damansara Uptown Petaling Jaya scheduled to open in year 2016. 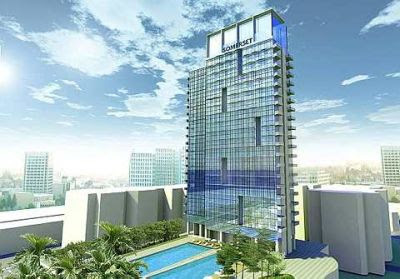 Somerset Damansara will have studio, one- and two- furnished studios with fully equiped kitchen. The development will include a 400,000 square feet retail mall, gymnasium, swimming pool, restaurant, sky lounge, business center with a conference hall which can accomodate up to 900 people. I understand that this new development will be part of Damansara Uptown Phase 2 project which when completed will have 800,000 parking bays which will be the second largest next to Mid-Valley Megamall and the underground parking including existing ones at Uptown 1, 2, 3 and 5, will all be interconnected. Hopefully this will help solve the parking woes for residents and visitors to Damansara Uptown. When is this schedule to launch and where's the sales office? Every one is eying for this project.